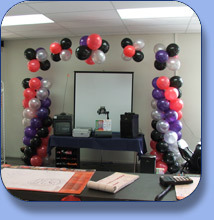 We specialize in creating all types of Balloon Decor for all kind of occasions! If there's a theme, we've probably got balloons to match! 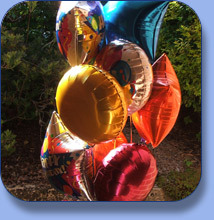 Quality Helium Bouquets that stay up for weeks, not days! 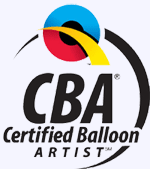 As Certified Balloon Artists we provide stunning displays for special corporate or personal occasions from Weddings to Conferences � almost any colour & theme! Personal or Corporate Gifts, Weddings, Birthdays, Floral Displays. From 6 � 16 inches, many colours, patterns & themes. 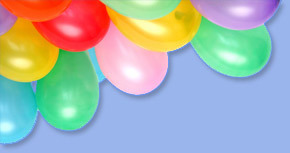 Professional Balloon Twisting for all occasions � Birthday Parties, Corporate Events & Special Celebrations. 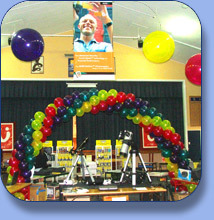 Book our Balloon Twister now! 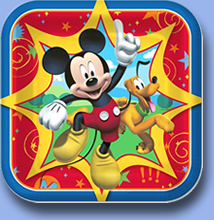 Exciting new best quality Partyware in favourite licensed characters. Your children will love these fun & beautifully coloured Partyware!